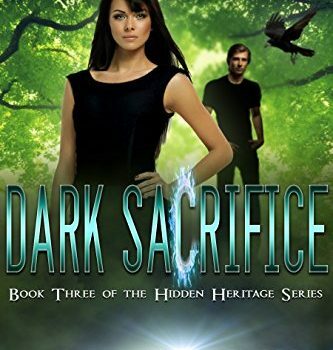 Dark Sacrifice is the third book in the Hidden Heritage series. I haven’t read a paranormal romance in a while and when the opportunity to read this book came up, I went for it. Overall, it was a good read. The premise is interesting- it reminded me of Howl’s Moving Castle but more of an older/adult take on it. Not “ADULT” though. The point that really drew me out of the story is that the characters often talked about exactly what they wanted to talk about. Which seems like a weird complaint, but think of that first scene in the Princess Bride with Wesley and Buttercup, right? She makes a demand and he says “As You Wish,” and we all know what they’re really saying to each other. There’s isn’t any of that here, and I think it really brings the work down. I was provided a copy of this book for free in exchange for an honest review.